If you are interested in eating delicious food, you should continue reading because today, oh today, we are serving up the good stuff. 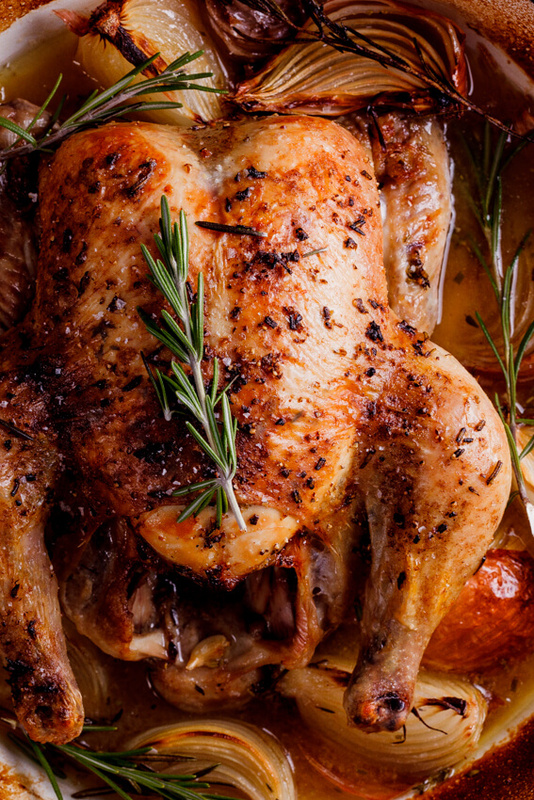 This Tuscan roast chicken cooked in white wine is chicken perfection. 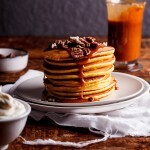 Now listen, right now this post is very hard for me to write because I haven’t had breakfast yet and it’s almost 12pm and writing about food and editing photos about food and thinking about food is pretty much the worst form of torture for me when I am hungry. 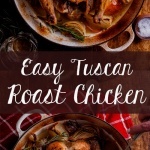 But I will soldier on because you all deserve to have this insanely delicious Tuscan roast chicken recipe in your lives. I make oven roasted chicken often (as is obvious if you take a scroll through my “Chicken” section), and most often I just bang the chicken in the oven with a whole lot of stuff in the pan and bid it a good journey. 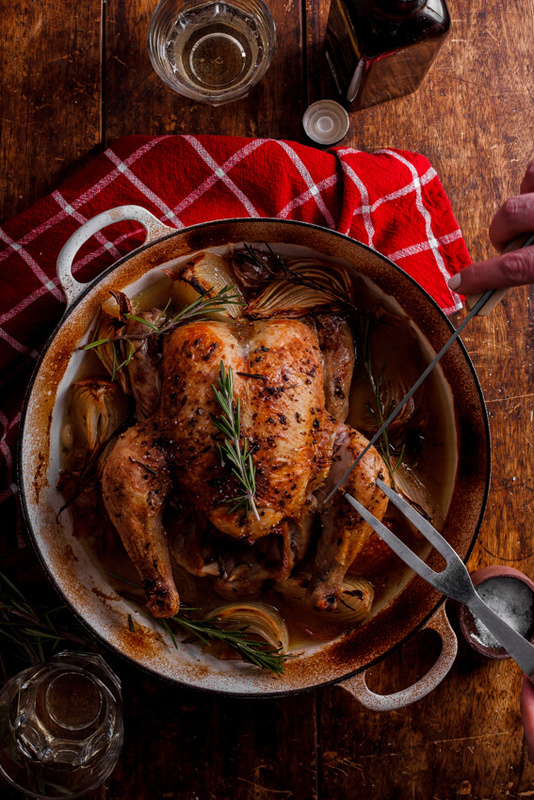 But every now and then I take a little bit of time (like, 5 minutes) and prepare the chicken in a loving manner, which is what I did for this easy roast chicken. Chop rosemary and garlic finely then mix with olive oil, lemon juice and zest and rub the chicken down with that aromatic oil. Loosen the breast skin a little and stuff some of the herby, garlicky oil in there to add even more flavour to the flesh and then pop that baby in the oven with a generous glug or two of white wine, garlic cloves, fresh rosemary and some lemon and let it roast away until the skin is gorgeously golden, the flesh is succulent and cooked through and the sauce is rich, chickeny and delectable. 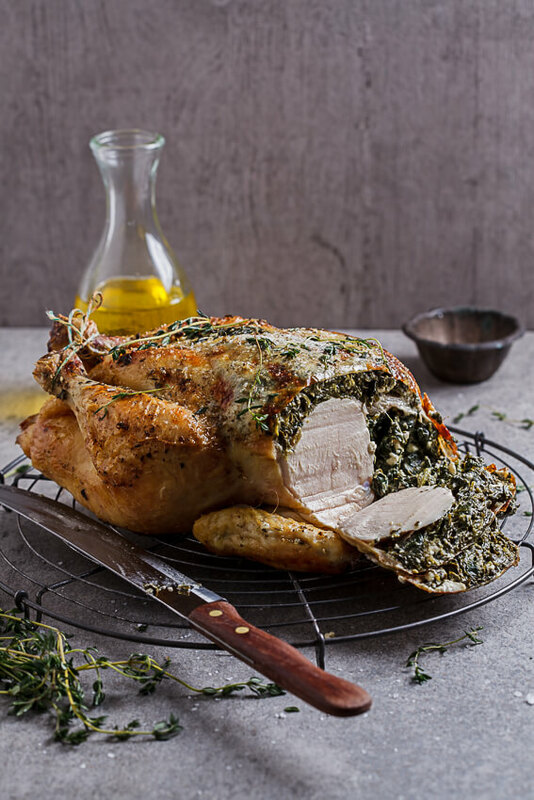 How long does it take to roast a 2kg chicken? 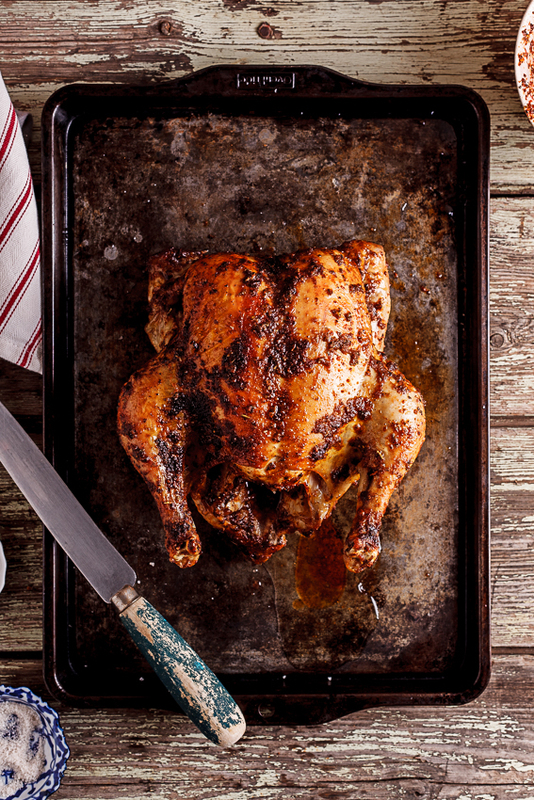 A 2kg chicken will take approximately 45 minutes to an hour in a medium-high oven. Pre-heat the oven to 220ºC/428ºF and lower to 160ºC/320ºF when you put the chicken into the oven. Allow to roast until the juices run clear (approximately 45 minutes) then turn the heat back up to 220ºC and allow to roast for another 10-15 minutes until the skin is golden brown. It’s important to allow the chicken to rest for at least 15-20 minutes after removing from the oven to allow the juices to redistribute. 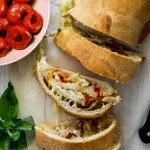 Warm ciabatta to soak up the wine sauce. 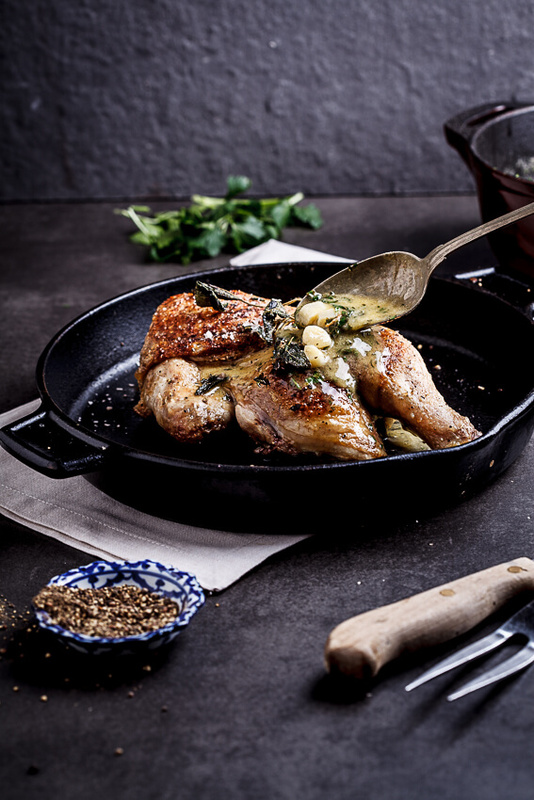 Succulent roast chicken flavored with fresh rosemary, garlic and lemon and cooked with white wine. So easy and absolutely delicious. To make the rub, finely chop the rosemary and garlic then mix with the lemon zest and juice, salt, pepper and olive oil. Rub the mixture over the chicken, loosening the skin gently and pushing some of the rub under the skin. Place the reserved lemon in the cavity of the chicken then place the chicken in a oven-proof dish. Add the onions, garlic cloves and extra rosemary then pour in the wine and chicken stock. Place the chicken in the oven and immediately turn the temperature down to 160°c. Allow to roast for 45 minutes until almost cooked through then turn the heat up to 220° to allow the skin to crisp up. When the chicken is golden brown and cooked through, remove from the oven and allow to rest for 10-15 minutes before carving and serving. 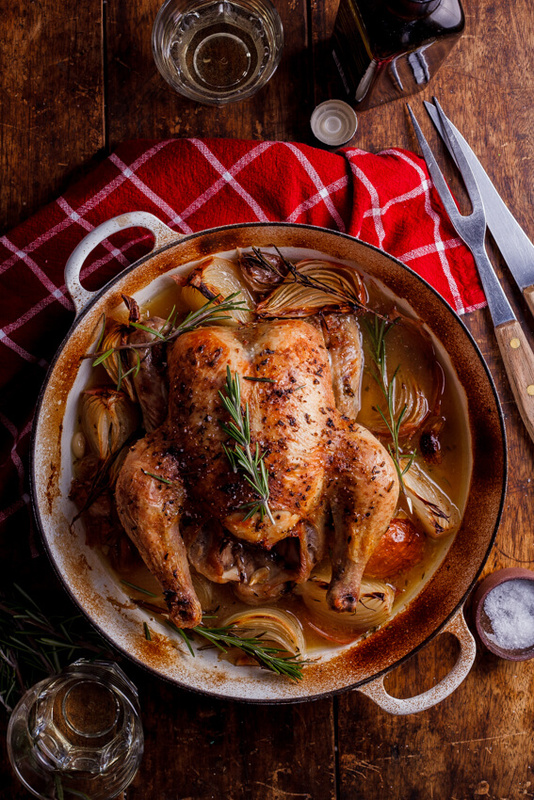 Great roast chicken recipe. 5 stars! Totally overwhelmed ! Grazie milla ! Can you make people aware that your recipe is in centigrade and not Fahrenheit and provide the equivalent. .
Yep, all my recipes are Celsius/Centigrade as is indicated by the ºc at the end of temperatures stated. Definitely the good stuff Alida, I agree! This is my husband Tom’s favorite meal. Love the ingredients of your rub. Perfect with a salad and some crusty bread! That crispy skin looks amazing, I wish I was eating that right now! Well, you could be! 😉 Thanks for your comment Amy!